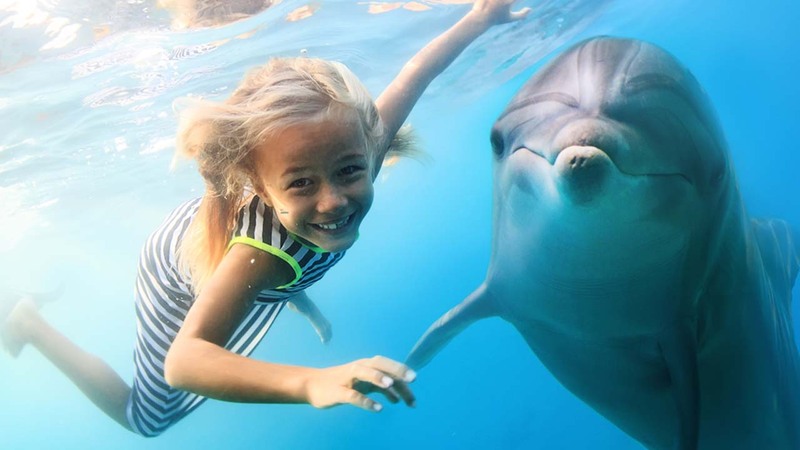 HONOLULU, HI -- Federal regulators are proposing to ban swimming with dolphins in Hawaii, a move that could imperil one of the Aloha State's most popular tourist delights and the industry that has sprung up around it. The National Marine Fisheries Service says Hawaii's spinner dolphins - the nocturnal species that humans usually frolic with - are being deprived of rest during the day and becoming stressed out. The proposed rule could shut down or greatly disrupt the industry as it now operates. That's because the ban would cover waters out to 2 nautical miles, which is where 98 percent of Hawaii's spinner dolphins rest after they've spent the night feeding. Tour companies take customers to these nearshore waters to find dolphins. Ann Garrett, assistant regional administrator of the National Marine Fisheries Service's protected resources division for the Pacific Islands, said dolphins have been found to be burning calories at a higher rate because they are forced to be vigilant as people approach their pods. "All of these things can contribute to a reduction of fitness over time - this kind of chronic level of stress. That's what we're concerned about," Garrett said. Hawaii's spinner dolphins - which get their name because they're known for leaping in the air and spinning around - eat fish and small crustaceans that surface from the ocean depths at night. At daybreak, they gather in shallow bays to hide from tiger sharks and other predators.